North Carolina State University scientists using a mouse model found that antibiotic use creates a veritable “banquet” for Clostridium difficile (C. diff) by altering the native gut bacteria that would normally compete with C. diff for nutrients. The findings (“Shifts in the Gut Metabolome and Clostridium difficile Transcriptome throughout Colonization and Infection in a Mouse Model”), published in mSphere, could lead to the development of probiotics and other strategies for preventing C. diff infection, according to the researchers. “Antibiotics alter the gut microbiota and decrease resistance to Clostridium difficile colonization; however, the mechanisms driving colonization resistance are not well understood. Loss of resistance to C. difficile colonization due to antibiotic treatment is associated with alterations in the gut metabolome, specifically, with increases in levels of nutrients that C. difficile can utilize for growth in vitro. To define the nutrients that C. difficile requires for colonization and pathogenesis in vivo, we used a combination of mass spectrometry and RNA sequencing (RNA Seq) to model the gut metabolome and C. difficile transcriptome throughout an acute infection in a mouse model at the following time points: 0, 12, 24, and 30 h. We also performed multivariate-based integration of the omics data to define the signatures that were most important throughout colonization and infection,” write the investigators. C. diff is a harmful bacterium that can cause severe, recurrent, and sometimes fatal infections in the gut. Although the bacteria are commonly found throughout our environment, C. diff infections primarily occur in patients who are taking, or who have recently finished taking, antibiotics. Metabolomics allowed the team to trace the abundance of the nutrients in the gut, and RNA analysis indicated which genes in the C. diff were active in metabolizing nutrients. The researchers found that the amount of proline in the gut decreased as the population of C. diff increased. Additionally, the amount of a proline byproduct called 5-aminovalerate also increased, indicating that C. diff was metabolizing the proline. 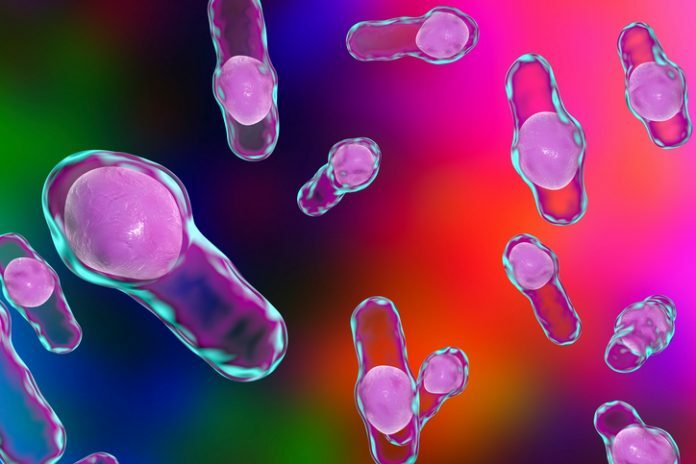 The RNA analysis further confirmed C. diff's use of proline, as genes related to proline metabolism in C. diff increased during the early stages of colonization, when proline was abundant.